How we talk about the internet, the World Wide Web and digital services can sometimes be daunting and confusing for those taking their first steps online. Recently, Go ON UK published best practice guidance on digitally inclusive language and imagery. It pulls together a glossary of the most engaging and motivating language and imagery (and the reverse) to use when talking about digital and online services. It includes examples of terms that appeal to individuals, SMEs and charities, like: “get connected, explore more, open opportunities, meets your needs, be confident online”. It also includes terms that people find disengaging, including: “get switched on, web/world is waiting, your digital future, join the debate”. The guidance is based on research Go ON UK and the BBC commissioned from Optimisa Research in November 2013. 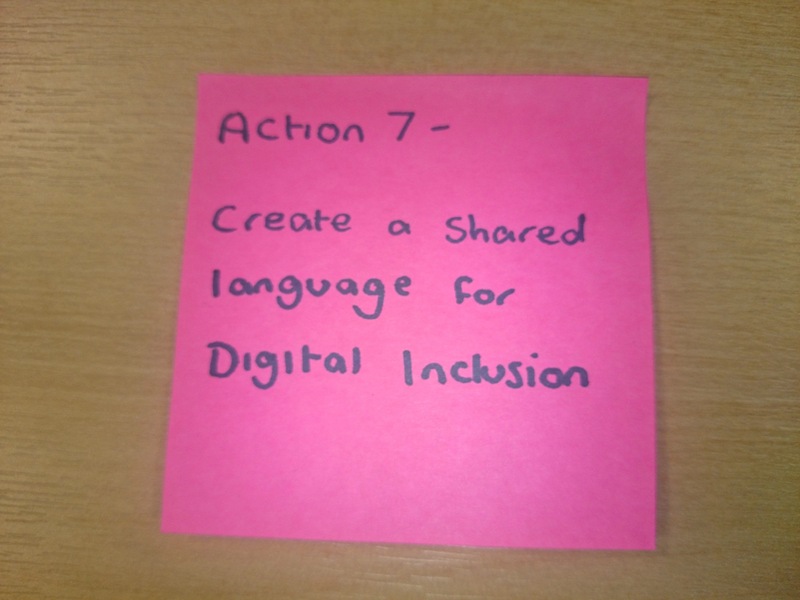 It is the starting point for the shared language public, private and voluntary sector partners will adopt in their communications about digital access and services (Action 7 of the Digital Inclusion Strategy). To help other organisations learn the lessons and use the language within their own communication plans, Go ON UK has now run workshops with over 40 organisations Go ON UK founder partners have made significant commitments to using the findings. Sessions are a chance to hear the research results and take part in some creative thinking about how to use them. GDS have arranged an internal workshop and will work with the Digital Leaders network to arrange more across government. Charter signatories will be encouraged through the Digital Inclusion Delivery Board to adopt the shared language in their communications. If your organisation is interested in a shared language session, drop info@go-on.co.uk a line. Follow Rosalyn on Twitter, and don’t forget to sign up for email alerts.